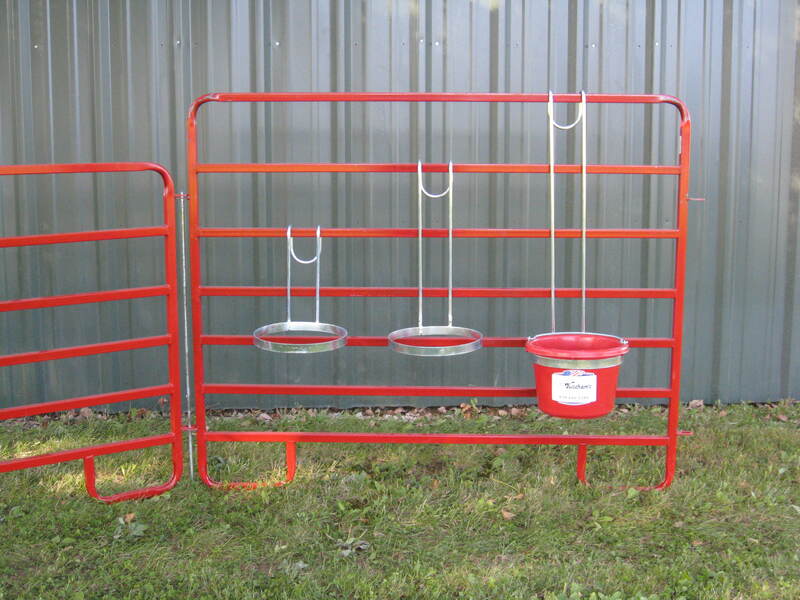 Our Bucket Holders are one of the most popular items we sell! They can be used many different ways. 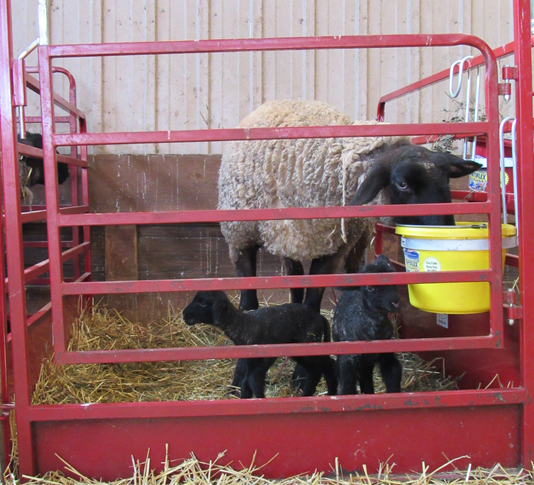 Bucket Holders in lambing pens to keep buckets off of the ground and prevent lambs from falling in the water and help keep the water clean for the ewe. Use at the shows or even in individual pens. They also make great awards for shows & events. Add decals to personalize them. They come in two different circumference sizes—10” round for 2 gallon buckets and 12” round for 5 gallon buckets. 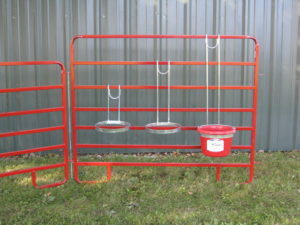 Both sizes come in three different lengths (12”, 20”, and 30”) to accommodate different height panels. 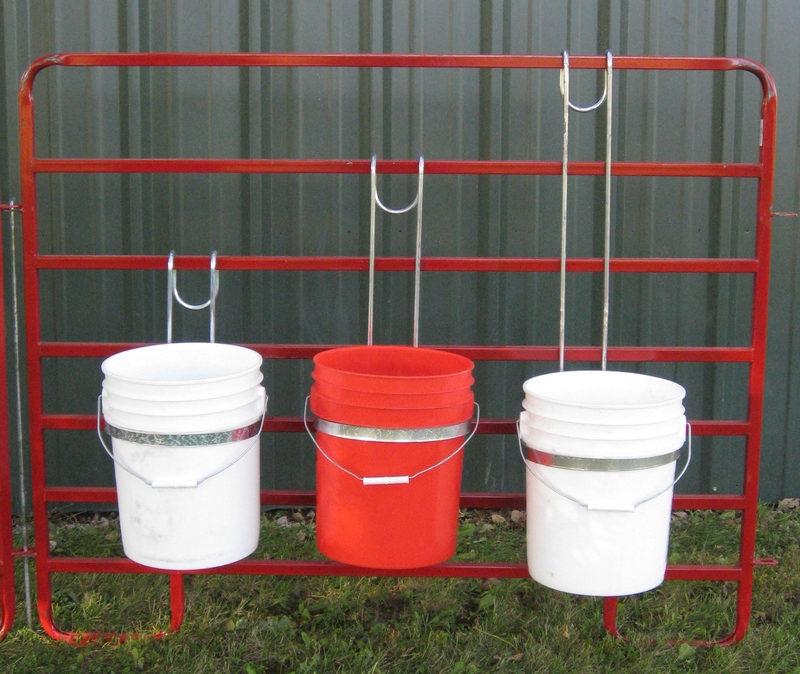 The 5 gallon Bucket Holders have a support to hold heavy buckets of water. 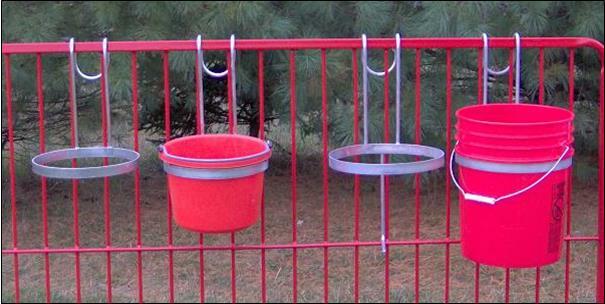 Kustom Bucket Holder sizes available with a minimum order of 10 holders. 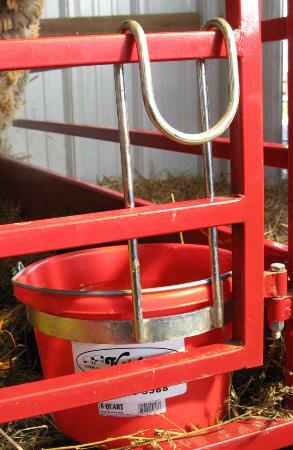 All Bucket Holders are zinc plated. 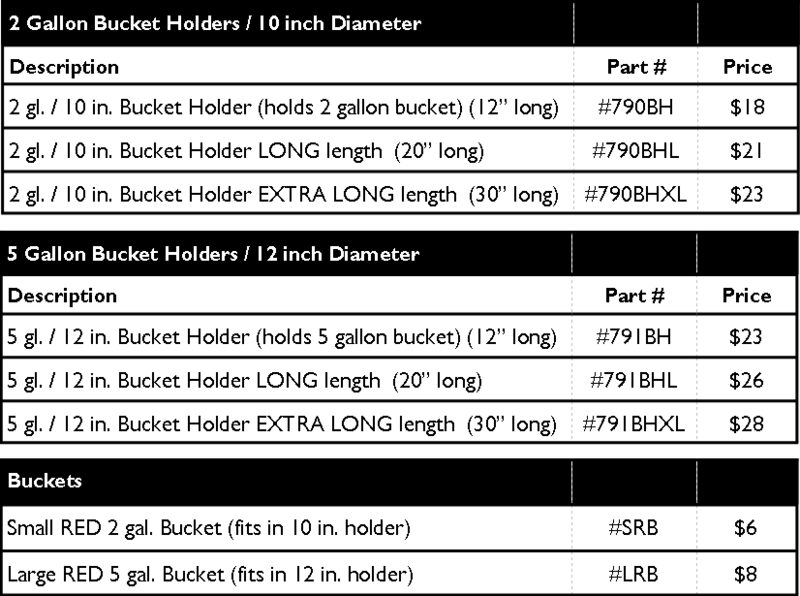 Our Buckets come in two different sizes—2 gallon (8 quart) or 5 gallon. The standard color we have in stock is RED. Additional colors available in both sizes. 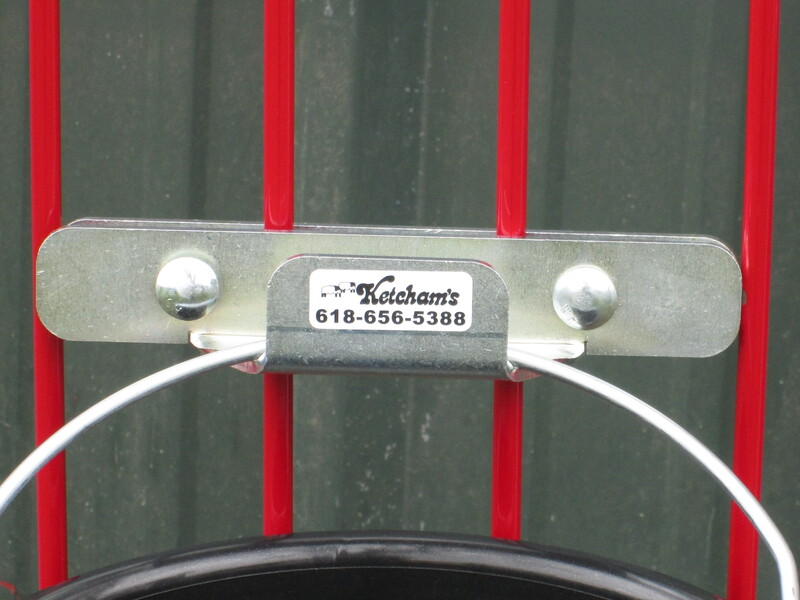 Kustom Bucket Holder sizes available with a minimum order of 10 Holders.